With a vibrant, fresh style Suzanne Woods Fisher brings readers into the world of a young Amish woman torn between following the man she loves or joining the community of faith that sustains her, even as she questions some of the decisions of her elders. Her choice begins a torrent of change for her and her family, including a marriage of convenience to silent Daniel Miller. Both bring broken hearts into their arrangement and secrets that have been held too long. 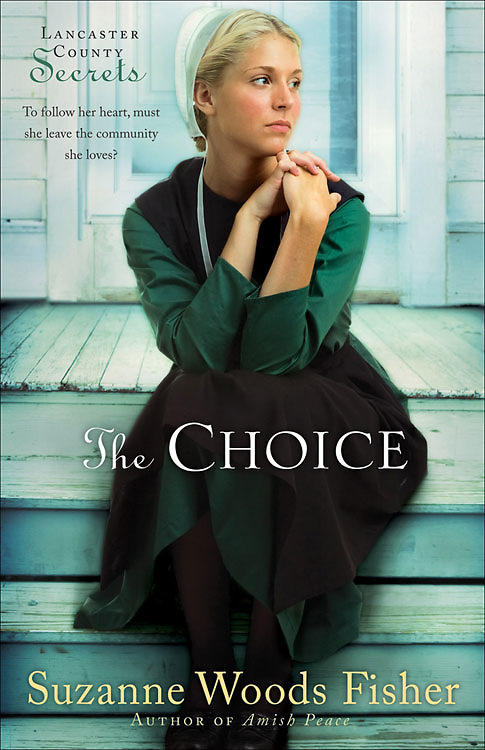 Filled with gentle romance, The Choice opens the world of the Amish, their strong communities, their simple life and their willingness to put each other first. Combined with Fisher's exceptional gift for character development, this novel, the first in a series, is a welcome reminder that it is never too late to find your way back to God.